The English grain aphid, Sitobion avenae Fabricius (Hemiptera: Aphididae), and bird cherry-oat aphid, Rhopalosiphum padi L. (Hemiptera: Aphididae), are two common herbivore pests that have devastating effects on wheat production worldwide. To tolerate herbivores, plants coevolved various biological and morphological features. The present study focused on the characterization of the S. avenae- and R. padi-tolerant features in the winter wheat line XN98-10-35 under field conditions. 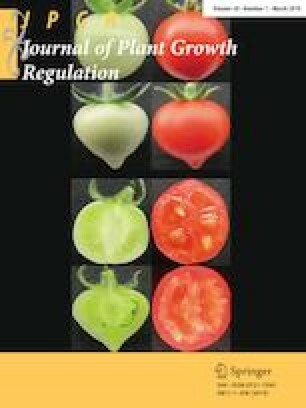 The yield loss experiment revealed that XN98-10-35 presented strong tolerance to S. avenae and R. padi feeding, as we observed a small 100-kernel weight decrease induced by S. avenae and R. padi. Examination of the ultrastructure of the flag leaves revealed that XN98-10-35 exhibited a greater number of stomata and a larger stomata size than the controls. In comparative gene expression profiling tests, the expression levels of the candidate genes SaEST1 and SaEST2, which are putative photosystem I assembly protein Ycf3 and vegetative cell wall gp1-like protein, were up-regulated several-fold in the flag leaves of XN98-10-35. Additionally, genes associated with sucrose synthase and starch synthase were up-regulated in the flag leaves of XN98-10-35. These findings increase our understanding of the molecular mechanism underlying tolerance to S. avenae and R. padi infestations in XN98-10-35 and will allow rapid breeding of tolerant cultivars. Kun Luo and Xin-Jian Yao have contributed equally to this work. The online version of this article ( https://doi.org/10.1007/s00344-018-9808-9) contains supplementary material, which is available to authorized users. The authors would like to thank the anonymous reviewers for their critical comments on the manuscript and the editing services of American Journal Experts for improving the English in this manuscript. KL, H-YZ, and G-SZ conceived and designed the research; KL, X-JY, CL, X-SH, C-PW, YW, and Z-QH performed the research and wrote this manuscript; KL, X-JY, CL, and Z-QH analyzed the data and prepared the figures. All authors have read and approved the manuscript. This project was supported by the Natural Science Foundation of China (Grant No. 39970112 and 30470268), the National High Tech Research and Development Program of China (2011AA10A106 and 2009AA101102), the National Support Program of China (2015BAD27B01), the Key Scientific and Technological Innovation Special Projects of Shaanxi ‘13115’ (No. 2007ZDKG-020). Top Talents Plan Projects of Northwest A&F University and an agricultural cooperation project between China and Germany (2010/2011(04)). All applicable international, national, and/or institutional guidelines for the care and use of animals were followed. This work does not contain any studies with human participants performed by the authors.